If you enjoy meditating with others, chanted meditations are a great opportunity to engage in group meditation. These chanted meditations are also known in Sanskrit as pujas, meaning “offerings”, or as sadhanas, which means “method for receiving attainments”. Group chanted prayers are an important component of training in a spiritual life. Using these ancient prayers translated into English, we receive the blessings, protection and guidance of the holy beings. We can make requests for ourselves, or for others who need help or protection. By relying upon these spiritual practices, we create a strong connection with the Buddhas, help us purify our negativity, fill our mind with positive, healing energy, and receive blessings. In this way, we will naturally accomplish all the realizations of the stages of the path to Enlightenment and attain a very special Dharma wisdom. All pujas are free of charge. Everyone welcome! 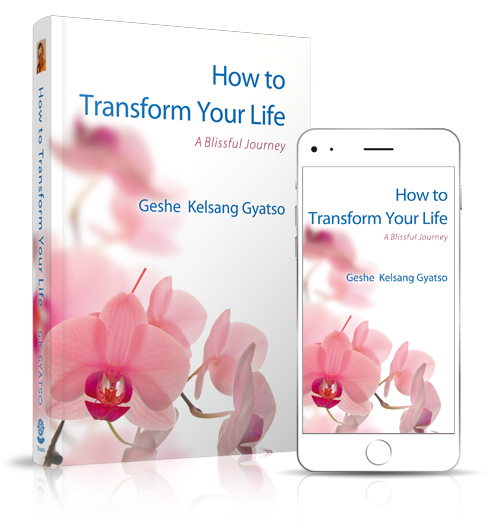 This practice is the heart essence of Kadampa Buddhism. 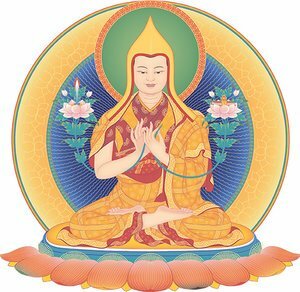 In the first part, we view our Spiritual Guide as the Wisdom Buddha Je Tsongkhapa and make prayers and requests to purify negativity and obstructions, accumulate merit (good fortune or karma), and receive blessings or inspiration. This prepares our mind for meditation on the stages of the path to enlightenment and a Mahamudra meditation. 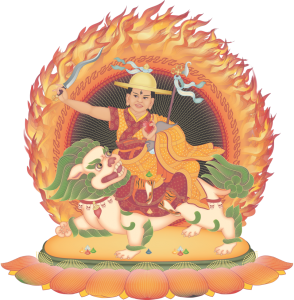 In the second part, we make prayers to our Dharma Protector, Wisdom Buddha Dorje Shugden. Through this, we can overcome obstacles to our practice and create favorable conditions so that we can nurture and increase our pure Dharma realizations. Twice a month, we engage in Wishfulfilling Jewel prayers, which is an extended version of our regular daily practice. These powerful prayers are designed to empower our wisdom and help us find spiritual protection. Includes 2 short, self-guided meditations. It is customary to bring a small food offering to this practice. Relying upon a Spiritual Guide, or ‘Guru Yoga’, is the root of the spiritual path and the foundation of all spiritual attainments. 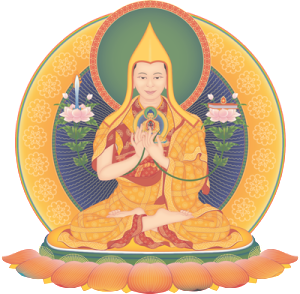 In Kadampa Buddhism, Guru Yoga is practiced in association with Je Tsongkhapa, an emanation of the Wisdom Buddha Manjushri. This special chanted prayer practice, known as Lama Chopa in Tibetan, is done in our centers and temples all over the world on the 10th and 25th of every month. This puja is an opportunity to make many offerings from our heart and request inspiration and insight from our Spiritual Guide so that we can attain realizations of all the stages of the path, the six perfections, and generation and completion stage Tantra. It expresses our wish to become a Buddha ourselves so we can help everyone attain the state of freedom and happiness. It’s also a powerful opportunity to make prayers and dedications for any sangha members, their families or friends who may be ill, have passed away, or are experiencing any difficulty. This practice includes a tsog offering so you can bring a vegetarian food offering with you if you wish.